Today’s episode features CFRE and AFP Master Trainer, Jason Lewis. 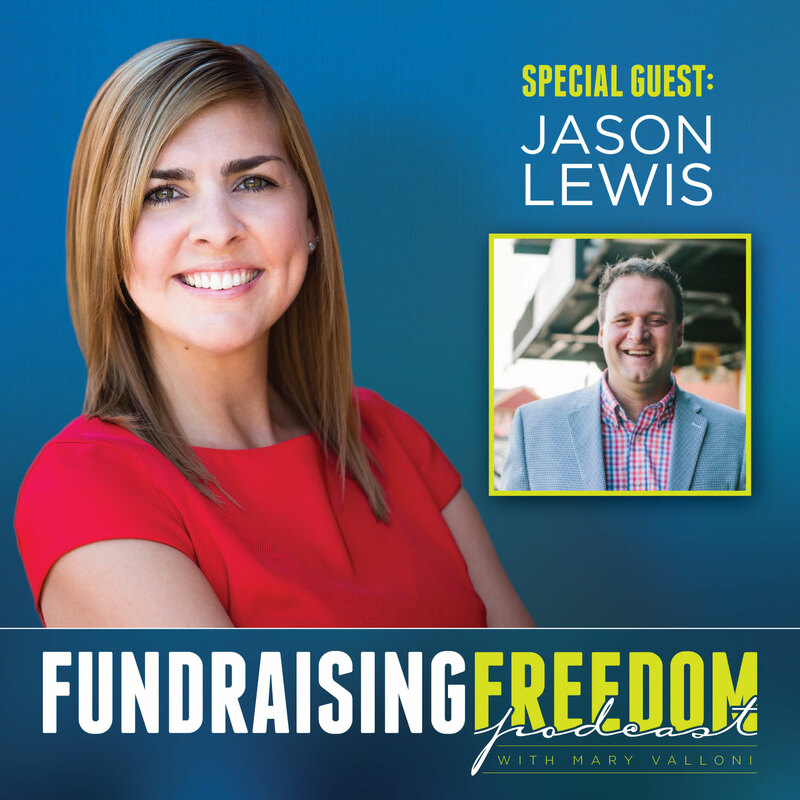 Known for his willingness to question deeply engrained beliefs and assumptions of how effective fundraising really works, Jason shares his knowledge and expertise in this episode. If you’re interested in hearing how fundraising should really work, then you need to listen in. • What is the future of fundraising? • What do you see that’s NOT working, yet seems to be perpetuated by nonprofits? • Imagine you woke up today and you were tasked with raising $100,000. What would you do to raise those funds in the next 12 months? • What does fundraising freedom mean to you? • What’s the one thing you want fundraisers to know? To pick up a copy of Jason’s book, The War For Fundraising Talent, on Amazon, visit https://amzn.to/2T5NDCO or to connect with him on LinkedIn, go to https://www.linkedin.com/in/jasonlewis/. For more information about Mary Valloni, visit http://maryvalloni.com. To join the Fundraising Freedom Podcast community on Facebook, go to http://www.facebook.com/groups/fundraisingfreedomtribe/.